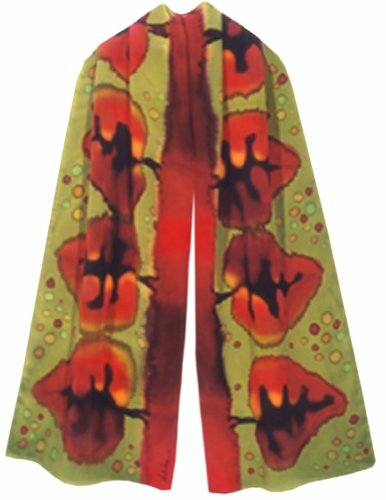 Spontaneously painting the dyes free-hand and skillfully manipulating their bleeds and edges as they merge with the silk, Ulrike achieves uniquely soft, multi-shaded images in which, unlike printed silk, colors are equally rich on both sides of the scarf. To pronounce ULRIKE, just say ool, then say reeka. If you have any questions about this product by ULRIKE, contact us by completing and submitting the form below. If you are looking for a specif part number, please include it with your message.